Rethinking Hell 2014 Conference Announcement! Tipping point. Critical mass. Paradigm shift. Whatever expression you prefer, we believe that a time is coming very soon when conditionalism will explode onto the evangelical consciousness and become a well-known, if not dominant understanding of immortality and final judgment among evangelical Christians. And we feel certain that, if conditionalism finally gets a fair hearing among those people who base their convictions on clear thinking from the Word of God, traditionalism and universalism don’t have a snowball’s chance in Rethinking Hell. Given the momentum that continues to build for this view, we believe that we are at a kairos point in time, that most opportune moment when something special is about to happen, and so we are ready to build upon the work that has already been done by those who came before us and look to the work that lies ahead for our and future generations of conditionalists to do. We have already announced the forthcoming book, Rethinking Hell: Readings in Evangelical Conditionalism, which will bring together the exegetical, theological, and philosophical work of the last few generations of evangelical conditionalists into one volume, as a supplement to Edward Fudge’s definitive work on the subject, The Fire that Consumes. We believe that this book will be an important part of the continuing conversation when it comes out. 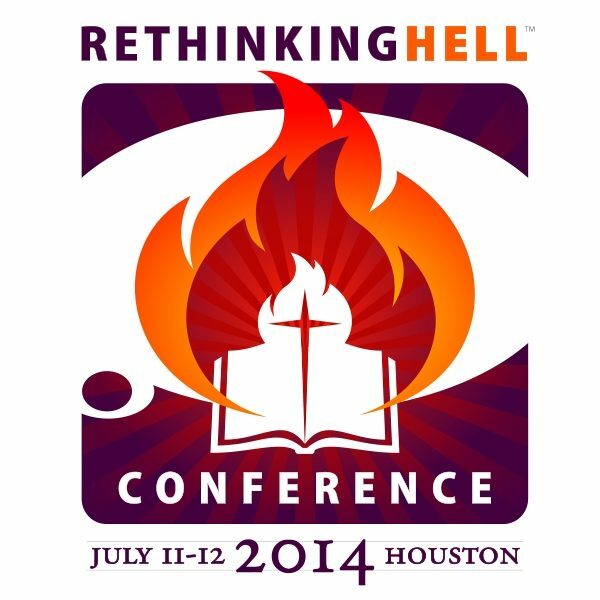 And we are now incredibly excited to announce details and open registration for the inaugural Rethinking Hell Conference, happening in Houston, Texas, on July 11-12, 2014. The idea of a conference on evangelical conditionalism was one of the first major plans we came up with as part of the Rethinking Hell project. When we began to think through what the topic of our first conference would be, sensing the kairos moment, we decided that the theme should have a dual focus: looking back and looking forward. As we considered looking back at where evangelical conditionalism has come from, we could think of no better subject to focus on than Edward Fudge, who has done more to articulate, promote, and defend this view than any other person alive. We knew that Edward was turning 70 years old in July of 2014 (thanks to the fact that his nephew is part of our leadership team), so we chose the weekend of Edward’s birthday to hold the conference and our hope was to have it in Houston in order that our guest of honor would not have to travel far to be present with us as we celebrated his legacy. Providentially, a dear friend and sponsor of Edward’s ministry, Mark Lanier, offered to host the event at the Lanier Theological Library in Houston (visit the library’s website to find out more about their beautiful chapel and grounds, or watch Edward Fudge’s lecture there in 2011). Making the trek just to see this amazing resource for Christian scholarship would be reason enough to come! We are blessed beyond measure to be able to gather together at such a wonderful location to celebrate an amazing man of God and our deepest thanks go out to Mr. Lanier and the staff of his library. After deciding upon the dual theme of “The Legacy of Edward Fudge and the Future of Conditionalism” we began to search out plenary speakers for the conference. Again, God went above and beyond what we could have expected in providing John Stackhouse and Glenn Peoples as the two speakers for our main sessions. John Stackhouse is a leading Christian scholar and voice within North American evangelicalism, who teaches at Regent College in Vancouver, Canada. (There is a sweet irony to the fact that Stackhouse took over the position at Regent previously held by J.I.Packer, who was an outspoken critic of conditionalism in times past.) Dr. Stackhouse has authored many works including Can God Be Trusted? : Faith and the Challenge of Evil, Evangelical Landscapes, Humble Apologetics, and Making the Best of It: Following Christ in the Real World. He has also edited significant works on evangelical theology, including No Other Gods before Me? : Evangelicals and the Challenge of World Religions, What Does It Mean to Be Saved? : Broadening Evangelical Horizons of Salvation, Evangelical Ecclesiology: Reality of Illusion?, and Evangelical Futures: A Conversation on Theological Method. He regularly appears in the news media representing an evangelical perspective with winsome, thoughtful commentary on the most difficult issues facing Christianity and the culture at large. Dr. Stackhouse is a highly respected scholar and engaging Christian thinker who is certain to become a major evangelical leader associated with conditionalism, as he will be arguing for this perspective in a new Zondervan “four views” book on the topic of hell that should be out in 2014. The fact that he is coming down to the heat of a Houston summer for the modest honorarium we could offer is a profound testimony to his appreciation for Edward Fudge (see Stackhouse’s blog post here for more on his admiration of Edward). Dr. Stackhouse will also be preaching at Edward’s church, Bering Drive Church of Christ, on Sunday, July 13 (which is the day of Edward’s birthday), at their morning worship service, which is open to all conference attendees. Dr. Glenn Peoples will be our second plenary speaker at the conference. Glenn is, of course, familiar to those who have encountered his work here on Rethinking Hell, but many may not be aware of the wide influence Glenn’s blog and podcast Right Reason has had on an evangelical audience looking for outstanding Christian apologetics and philosophical reflection on important issues. We believe Dr. Peoples represents the next generation of influential conditionalist advocates, using new media and social networks to expand the message to a global audience through online communities and venues. We could not be more excited to have our brother come over to the US from New Zealand to help us consider how we can continue promoting our view through thoughtful, careful, and persuasive dialogue. Though not officially part of the Rethinking Hell Conference, John Stackhouse will be preaching at Edward Fudge’s church, Bering Drive Church of Christ, at their worship service, which begins at 10:15am. All conference participants are invited to attend. We understand that travelling to Houston may be difficult for many, so through the generous donations of our supporters (and there some great perks to be had when you become a sponsor of the conference), we have been able to keep the registration cost quite low. But this is an event that you will not want to miss—the first national conference on evangelical conditionalism EVER! Get some friends together and road trip down to Houston this summer for a gathering that you can tell your children about someday. You will be able to say that you were there, part of the moment when long-held misunderstandings about hell and judgment finally began to shift toward a more biblical and credible view. You will be able to meet Edward Fudge, John Stackhouse, Glenn Peoples, Chris Date, and the Rethinking Hell team, as well as many other like-minded believers for a time of celebration, theological conversation, and strategic planning. We hope to see many of you there! Visit the conference website for full details about this event. Sign up now as the early registration price of $50 only lasts until February 1st!